Jordan Peele has quickly become one of the hottest names in horror cinema. After winning an Academy Award for Best Original Screenplay for his debut film Get Out, he followed it up with Us¸ another huge financial and critical success. If you’re like me, you thoroughly enjoyed his creepy-yet-comedic story about doppelgangers, family dynamics, and allegorical class struggle. I walked out of theatre ruminating over the deeper themes of the film, and thinking about all the other films that touched on the same subject matter in one way or another. So, I thought I’d share with you a few of those films you might not have seen, in case you have that same itch to scratch. SPOILER WARNING: This article assumes that you’ve already seen Us, and there will be some spoilers below as I talk about how these films relate. You have been warned! Cannibalistic Humanoid Underground Dwellers. 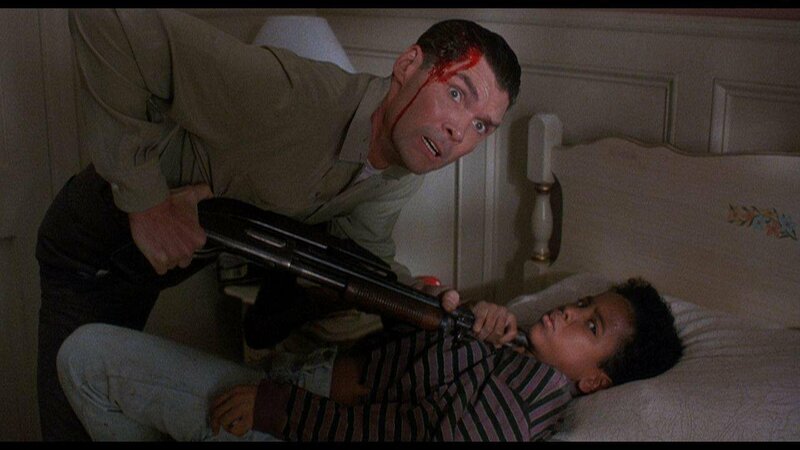 This cult classic B-Movie from the Golden Age of B-Movies is directly referenced by Peele as an inspiration for Us. You can even see a copy of it on VHS in the opening scene. 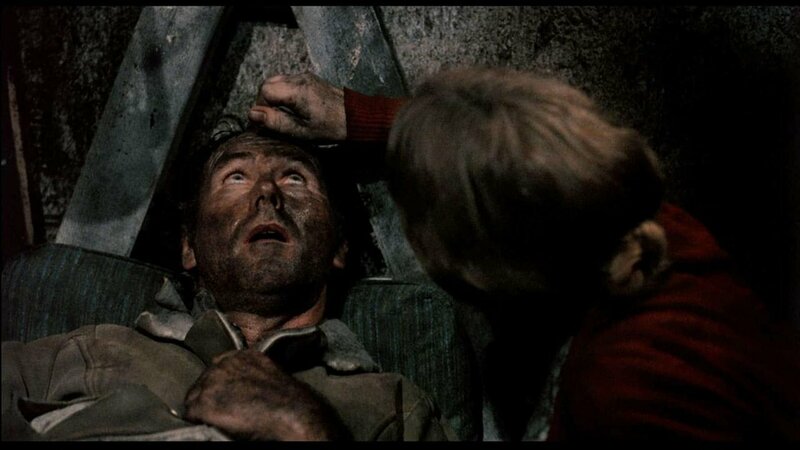 In this wildly entertaining film, the Nuclear Regulatory Commission decides it would be a great idea to dispose of its vast quantities of nuclear waste in abandoned subway tunnels underneath New York City. Despite their best efforts to cover this up, a dedicated cop, a photojournalist, and a social worker investigate the string of disappearances in the neighbourhood above those tunnels. They discover the waste has created C.H.U.D.s!!! While C.H.U.D. is first and foremost a creature feature (with some truly memorable creature design and great practical effects), the idea of a bunch of “people” coming up from underground and attacking civilians because of a government project gone wrong was obviously a key inspiration for Peele. At least in C.H.U.D. we get the satisfaction of seeing their incompetence and lack of compassion on screen. In Us the people behind the scheme are left mysterious. There are quite a few movies out there that use the idea of doppelgangers to explore different themes about identity. None do it in such a dark and foreboding way as Denis Villeneuve’s Enemy. In this film, Jake Gyllenhaal plays a frustrated and depressed academic named Adam, who teaches about the methods authoritarian regimes use to maintain control of the population. He also plays Anthony, a vain small-time actor who Adam spots in the background of a film. When the two of them meet, their lives spiral into chaos. There is also some confusing bits about spiders, but I’ll let you figure that part out on your own. This film is the best I’ve seen at exploring that grass-is-always-greener mentality of doppelganger films. The characters obviously represent different versions of one life that diverged at some point in the past. Two ways the same person could turn out, given different choices. These similarities and differences that are explored, and the notion of longing for another path, and the resentment that builds from focusing more on what you COULD have than what you already DO have, are key ingredients to both this film and Us. Self-loathing is usually a result of people believing they aren’t living the lives they feel they should be. That sense of failure can really make someone long for a chance to do things over again. To take back the life they feel they deserve. “Fool” Williams had the misfortune of being born in a Los Angeles ghetto. Like many others in that situation, his family isn’t exactly financially well-off. His mom has expensive medical bills and they’re about to be evicted by their wealth-hoarding conservative landlords, “Mommy” and “Daddy” Robeson. Fool teams up with a couple local thugs to break into the Robesons’ house and steal some of their rumoured fortune in coins. When the break-in goes south, Fool finds that the Robesons have trapped a whole crew of feral, cannibalistic children in their basement. Not only does he now have to escape the psycho couple, he also has to try and set these children free. 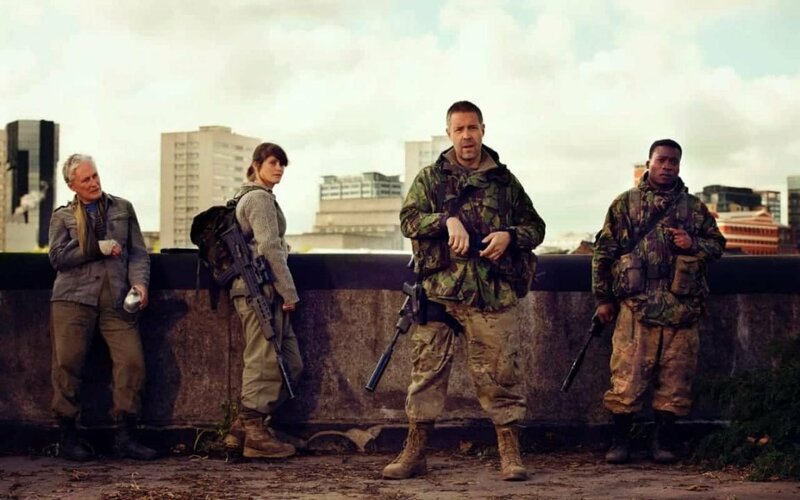 This is a film that is just dripping with satire and socio-economic themes. It’s a small-scale allegory for the messy outcomes of “trickle down economics” and Mommy and Daddy were pointed out by many reviewers as being nightmarish versions of Ronald and Nancy Reagan. It’s not hard to see the parallels with Us, as the children living in the basement don’t seem far off in terms of behaviour from the Tethered. The main difference is that Wes Craven’s film gives a much more satisfying confrontation with the cruel wealthy overlords responsible, while Jordan Peele keeps his vague government conspiracy at a distance, in order to focus on the struggle between the Tethered and their originals. The Davisons are obviously a family of wealth and means. They’re also obviously a family that doesn’t get along very well. When they meet up at their beautiful – but rarely used – summer home to celebrate Paul and Aubrey’s wedding anniversary, it takes no time at all for them to start bickering with one another. Unfortunately, this fun family bonding ritual is interrupted by a trio of masked killers who surround the house. Fortunately, Crispian happens to bring his girlfriend Erin along. And Erin is way more than these killers were expecting. There’s a lot of home invasion horror films I could recommend here. It’s a pretty large sub-genre, and there are definitely other titles that are more widely acclaimed and more influential than You’re Next. But I decided to include this film on the list because I think it best mirrors key aspects of what makes Us a great film. At their core, these are both films about family. How crisis can cause some families to come together and be stronger, and others to fall apart. They both feature badass female protagonists who take charge when things start to go south. And they both have that clever balance of scares, laughs, and dramatic moments that lead to a fun, balanced viewing experience. I’d say it’s the closest film on this list to the tone that Us uses to such great effect. A fungal infection has turned most of humankind into feral, bloodthirsty cannibals – referred to as “Hungries” by the surviving uninfected humans. Dr. Caroline Caldwell runs an installation where she hopes to find a cure by studying young “second generation” Hungries, who have grown up craving human flesh, but who seem to have normal intelligence. One of these child guinea pigs, Melanie, shows exceptional intelligence and empathy. She might be the key to a cure, or just an example of what the new version of humanity will look like. There aren’t a lot of films out there with young black female leads, so this film is noteworthy for that fact alone (not to mention Sennia Nanua absolutely crushes the role of Melanie). But beyond the racial dynamic, this film really explores the idea of a marginalized group of individuals – looked at as “monstrous” by the mainstream – can rise up to take back the lives they feel they deserve. You can see a lot of similarities between the Tethered and the Hungries. Just as there are similarities between Red and Melanie. The hope is that, in reality, these kinds of identity struggles won’t result in the type of apocalyptic violence we see in both these films. But if it did, would it really be any surprise? It’s a bit unfair to include a documentary on this list, but it was far too good not to mention. Jordan Peele pointed out in an interview with Vanity Fair that Us isn’t a film about race, even though the main cast is black. But it is a film about America, and America is about race. 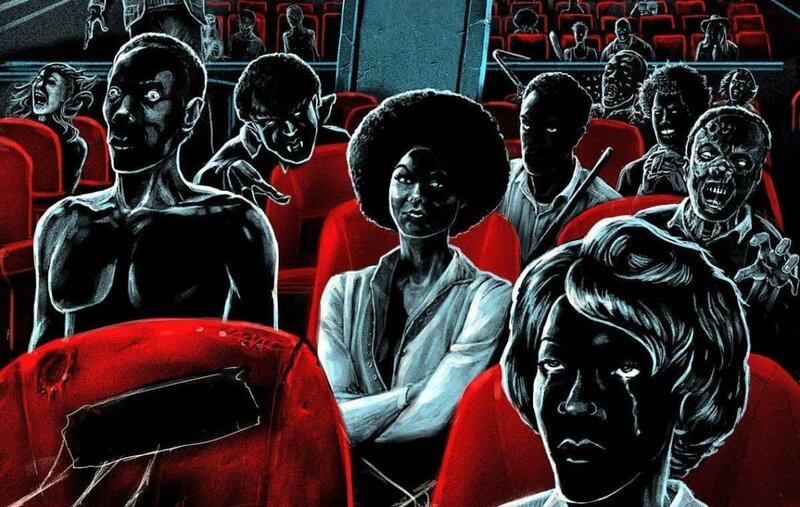 Horror Noire is an exceptionally thorough and entertaining look at how American horror cinema has portrayed black people. Most of the films that are highlighted in this documentary aren’t about race either. They were simply a reflection of racial attitudes held by those who made them, and the time period they existed in. That doesn’t make those depictions any less profound because they were unintentional. In fact, the opposite is true. It is the unconscious attitudes on race that truly reflect the reality of racial politics in America. 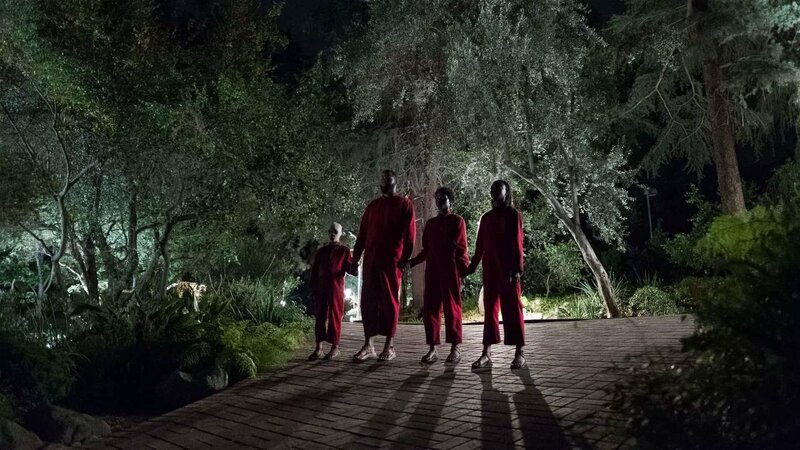 What Jordan Peele accomplishes by casting a black family as the lead in his film – without drawing attention to their blackness as an essential part of the plot – is highlight that black families are normal American families. That we pay attention to their blackness is not their fault. It’s all about our perceptions.